The snow has finally melted you guys!!!! I am praying we are finished with the snow because I am so ready for warmer weather and sun dresses! 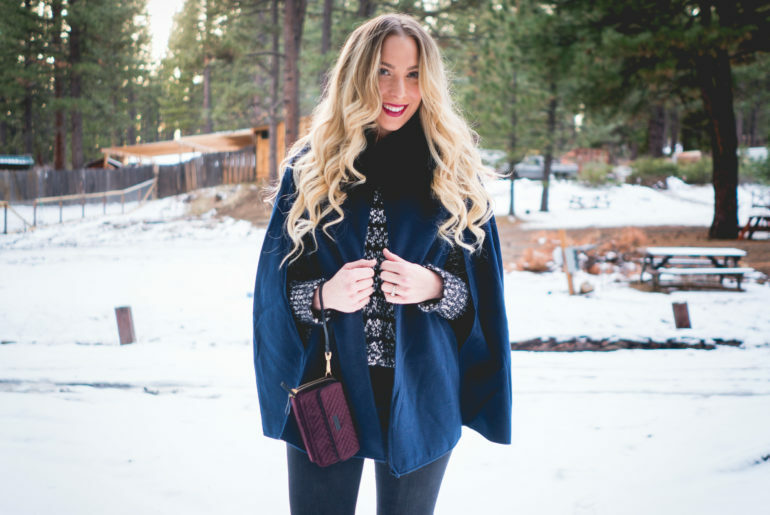 As cute as this Navy Cape is, I’ll be happy to pack it away if that means my tanks and tees can come out. I honestly thought I would love the Winter here, but coming from LA, I just cannot adjust. I’m sure I will in time, or I just need a LaLa Land Winter home to flee to.